With the acquisition by Marriott pending and the uncertainty with the program going forward, I participated in the match. Since that time I have really been enjoying Hyatt. I find that they really go out of their way to assist Diamond Members and to make them feel welcome at hotels. The chain is smaller so there are less cities where you can find a Hyatt; however, the experience at the hotel in the lounges, with breakfast and the room experience has been exceptional. 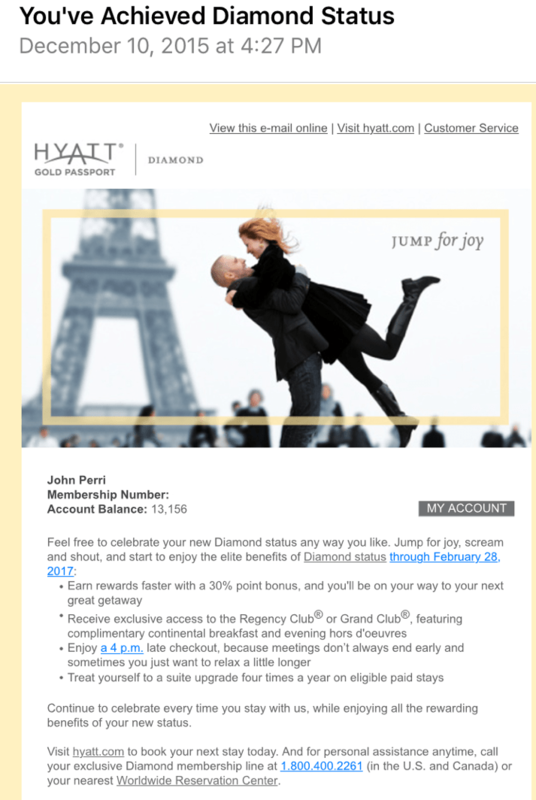 Unfortunately, there is some qwirk in Hyatt’s reservation system that keeps defaulting my status to Platinum when I book via Hyatt.com. I’ve used social media to seek assistance and the team generally gets the reservation re-issued prior to my stay so the hotel sees that I am Diamond; however, there have been a few issues. If the hotel does not know that I am Diamond when I am checking in, I simply ask them to refresh my membership number and when they do, the status shows as Diamond. The program with this is, there is a reduced chance of a nicer room upgrade. As the hotel typically assigns those prior to check in when they review who is expected to check in that day. While the agent at the desk provides the amenities, I am still left wondering if I missed out on a better room. Hyatt has been trying to work out the issue; however, it continued to occur. I now send a DM with my confirmation numbers when I receive them and request that they make sure that the hotel has me as Diamond in advance of my stay. This extra step takes some time, but it is well worth it in the long run. I just hope they can work out the situation soon. Have you encountered this issue with your status? What have you done to help it?